Custom Tuning is Done to Suit the Following Modifications. And what driving style and what the vehicle is being used for Racing or Street Driving , Towing etc. Please Note Forced Induction Applications are Not Offered as Vehicles Need to be Tuned on a Chassis Dyno as well as Large Camshaft Engine Build Profiles, and we can Offer Dyno Services for Local Customers as a Additional Discounted Charge. No Responsiblilty will be Accepted by RDP Motorsport or ANy of its Staff or Owners in Relation to this Vehicle Tune. 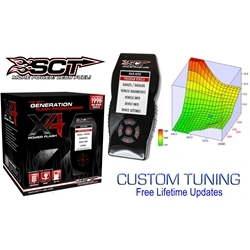 From the moment I spoke with Steve on this tuning package I was sold. He is a very knowledgeable, kind, customer caring and extremely responsive owner. His tunes do indeed make a difference and I will always be coming back to him. I will also be getting a professional dyno tune from him when I can make the 6 hour drive from VA. MAKE THIS PURCHASE AND NEVER FORGET IT! Great product and great service to back it up. There is definitely a noticeable difference in the way the car feel and drives. Thanks Steve. The tune and the custom tune will put your Camaro where it should be from factory. I have the A6 L99 and Steve really made the car fun to drive after my custom tune.